This 3-piece handle facilitates low cost shipping. It assembles easily into a sturdy, long-lasting handle for flat mop frames. 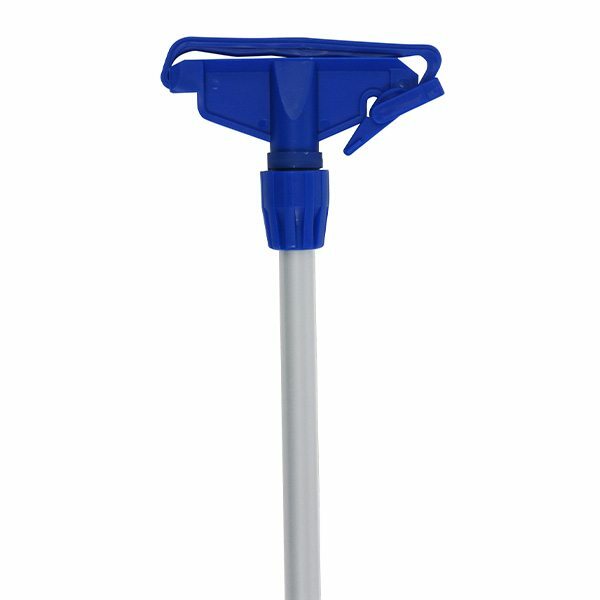 The Stirrup Head Adaptor allows the use of a microfiber Tube Mop or any traditional wet mop with a flat mop handle. Case Cube - 0.450 ft.